1. 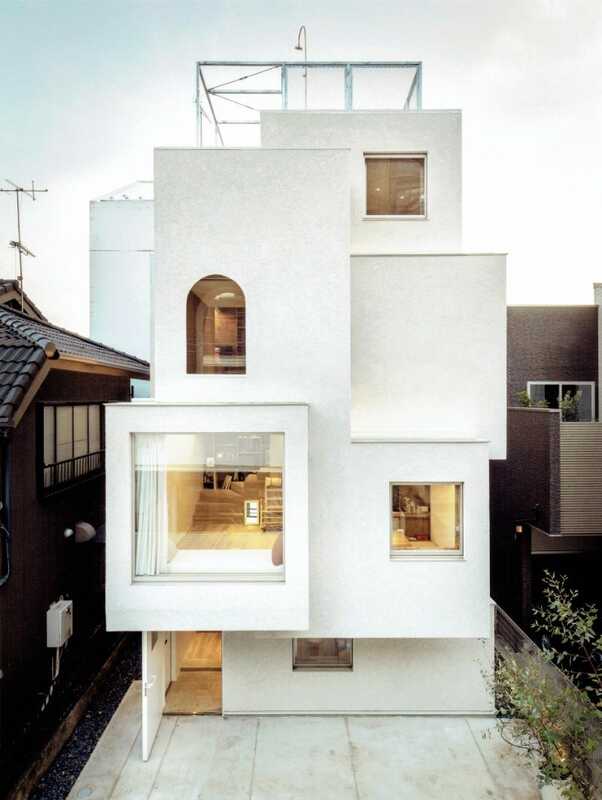 In a narrow alley in Tokyo, Japan, the House in the City features rooms in a staggered arrangement. 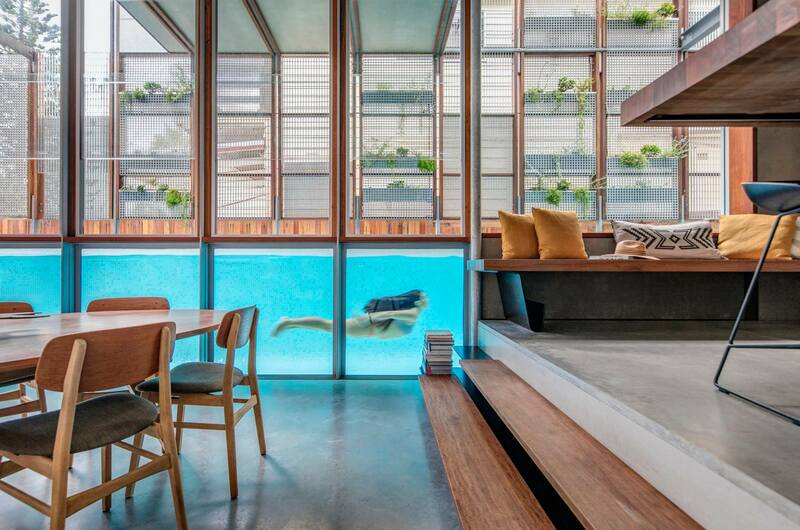 It stretches four floors, so the family who lives there has plenty of room. 4. The House With Shadows in Singapore sounds like a haunted house that should be named on Halloween. 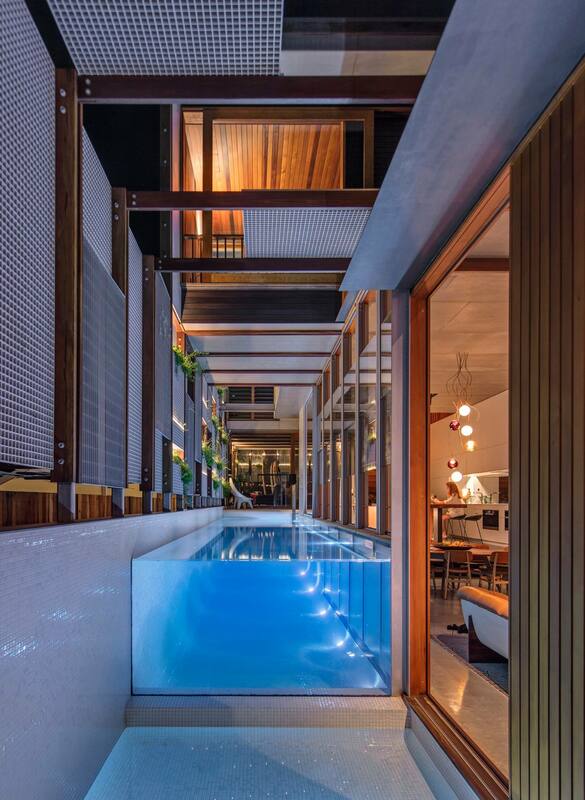 Its two story bungalow with a pool and beautiful hand crafted architecture. 7. 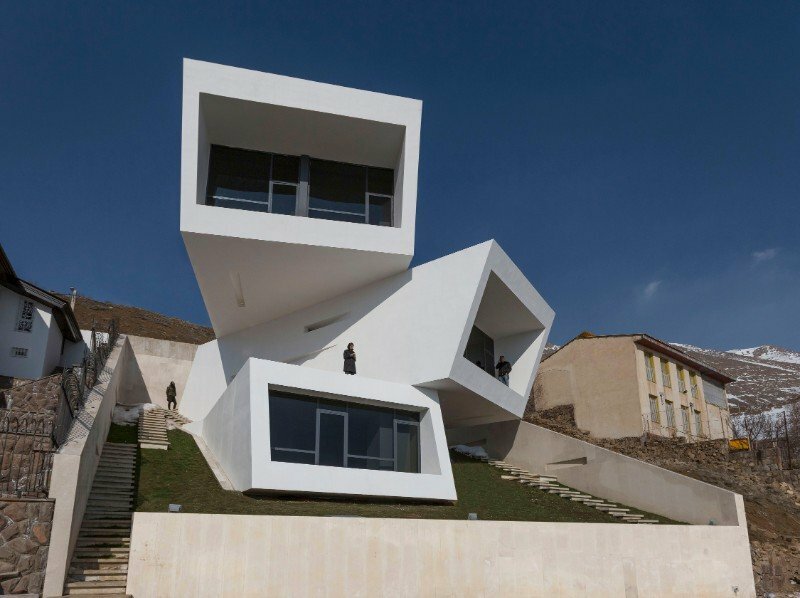 This home in Tehran, Iran, named Three Views, features three levels with floor-to-ceiling windows that face different directions. 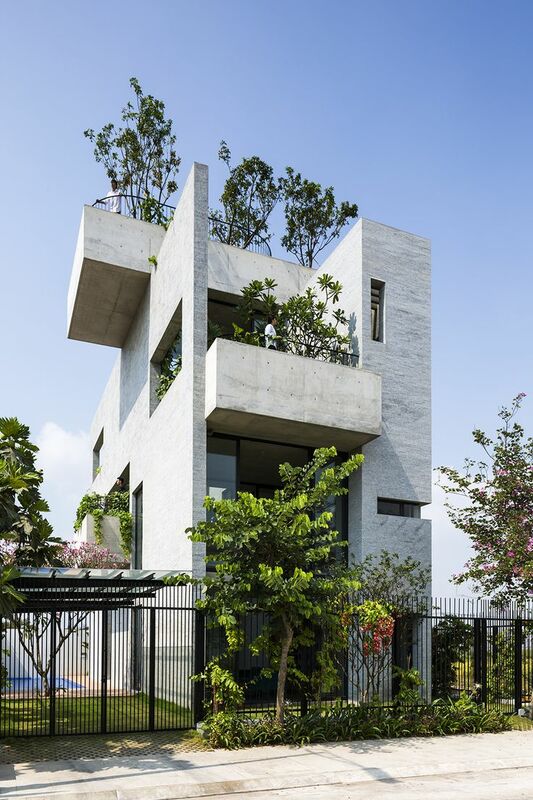 The adopted shape of this unique modern luxury residence is a transverse volume of cubes with separately directed views across the Mosha plain within the form of three suspended cantilevered boxes, each with a specific rotation to each other, creating multiple layers of minimalistic spaces refreshingly devoid of mediocrity. 8. 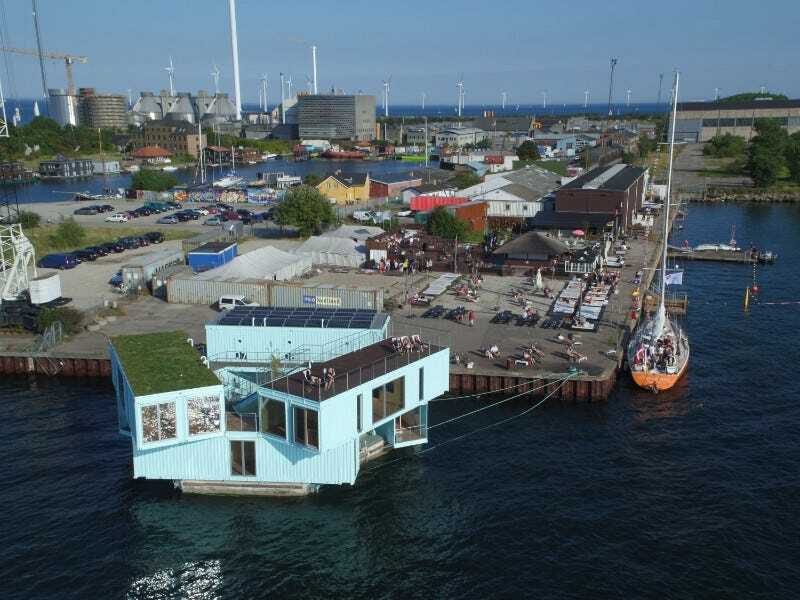 Leave it to the environmentalist in Denmark to create dorms from recycled materials! 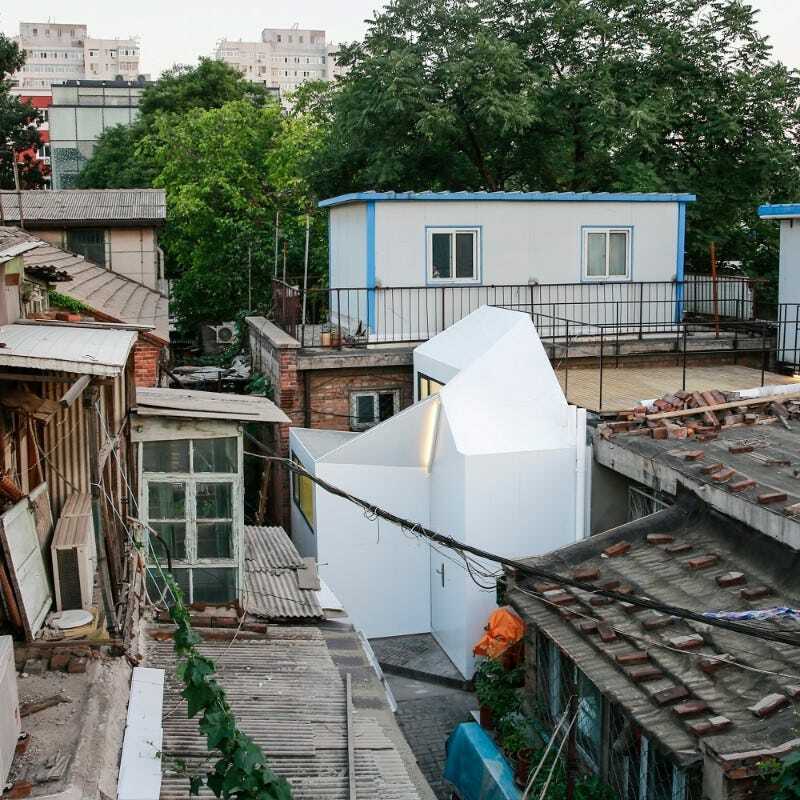 These dorms are A low-cost alternative to traditional dorms, the Urban Rigger functions as student housing. 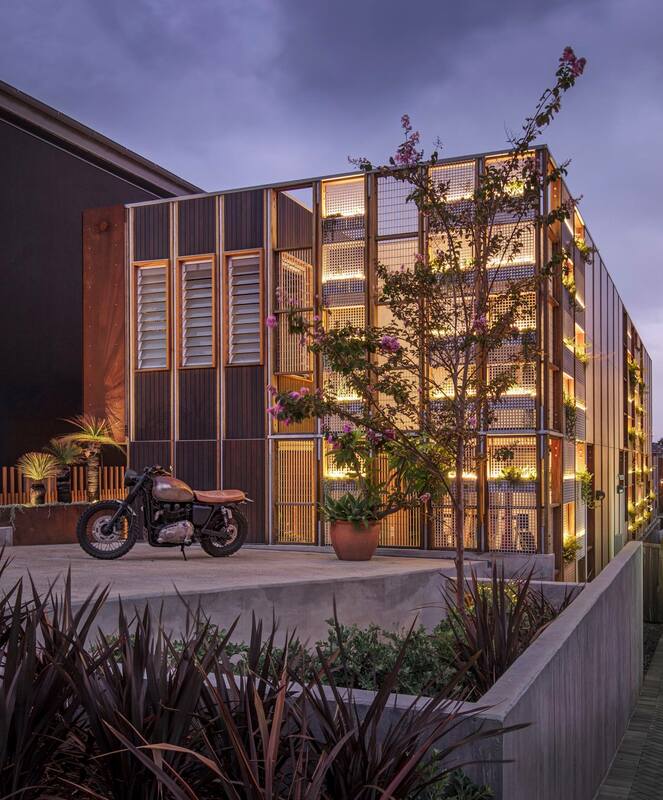 The development, which has 15 living spaces, is made of recycled shipping containers that float in the city’s harbor. 9. 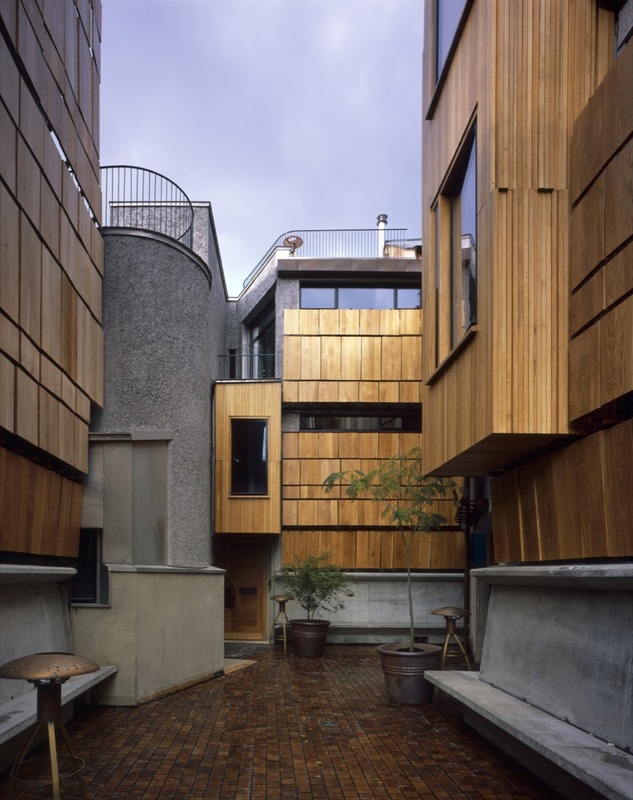 Walmer Yard in London, England was seven years in the making. 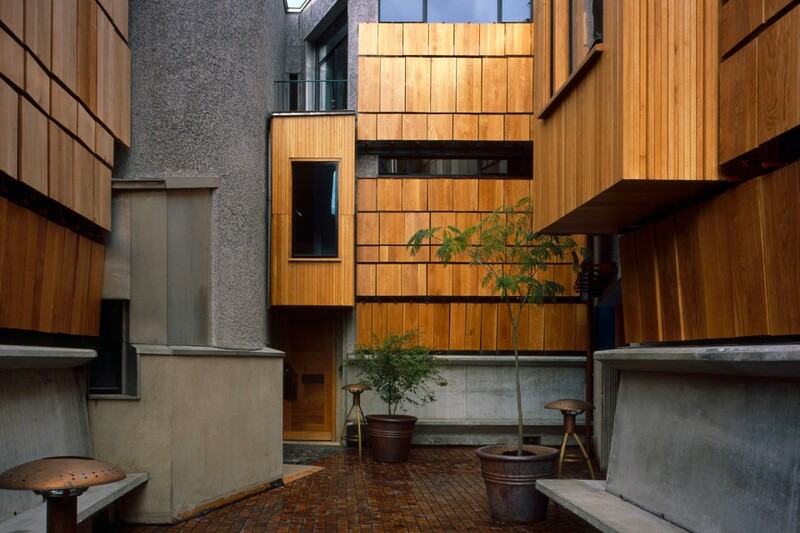 It stretches over 9,000 square feet and features four timber homes that are connected by a shared courtyard.